Link 'em up! 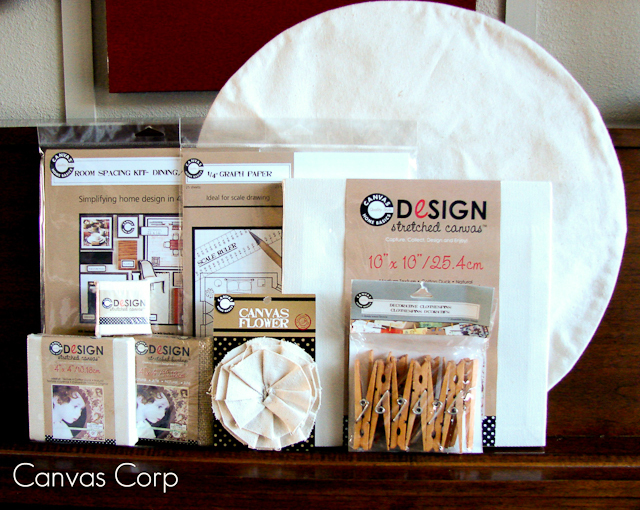 It's time to show off your very first projects of 2012!! 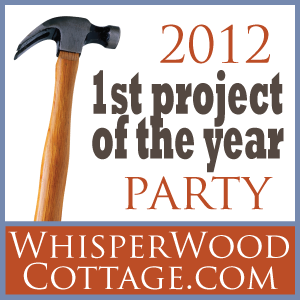 All events and event announcements will take place here on the WhisperWood Cottage blog. January 12 (12:01 am) - January 31 (11:59 pm): Linky party is open. January 12-31: Projects are featured. After February 1: Prize winners announced. February 7: Top 12 magazine feature contenders announced. February 14: Winner of magazine feature announced. MUST MEET THESE REQUIREMENTS: Put one of the linked party buttons (provided above and in the sidebar) with a link to this party post in EACH project post you plan to link. Link up the post using the linky at the bottom of this post. MAIN ENTRY: Put one of the linked party buttons (provided above and in the sidebar) with a link to this party post in EACH project post you plan to link. Link up the post using the linky at the bottom of this post. Leave a separate comment for EACH project that includes your project number and stating that you have included the linked button in your project post. ADDITIONAL ENTRY 1 (PINTEREST): Follow WhisperWood Cottage on Pinterest. Pin one of the party buttons (shown at the top of this post) to your own Pinterest pinboard. Include the hashtag #1stprojectparty2012 in your pin description. To make it super easy, simply click one of these Pin It buttons... Party Button 1: Pin It or Party Button 2: Pin It. ADDITIONAL ENTRY 2 (FACEBOOK): Like all four of the sponsor's Facebook pages: WhisperWood Cottage, Cottages & Bungalows, Rockler, Canvas Corp. Come back here and leave a comment that you liked all four pages. ADDITIONAL ENTRY 3 (FOLLOW/SUBSCRIBE): Follow WhisperWood Cottage with Google Friend Connect and/or subscribe to WhisperWood Cottage's RSS feed. Leave a comment below stating whether you follow and/or subscribe. What type of projects can we link? You can link up any type of project as long as it was completed and posted between January 1 and January 31, 2012. It can be decorating, craft, cooking, before and after, DIY, photography, organization, blog makeover, new hairstyle...whatever floats your boat! Must be your own projects...not other people's work. How many projects can we link? Link as many as you want as long as they were completed by you and posted between January 1 and January 31, 2012, and as long as you have included a party button to this party post in each post that you link. How can I win? Read and follow the eligibility section above. What are the prizes? See prize section below. How are winners selected? Prize winners are randomly selected from all eligible entries. Magazine feature contenders and the feature winner will be reviewed and selected by the judges. How do I know if I won? 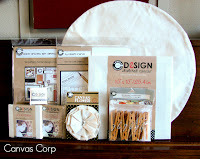 Winners will be announced here on the WhisperWood Cottage blog. January 12-31: blog features, February 1: prize winners announced, February 7: Top 12 magazine feature contenders announced, February 14: winner of magazine feature announced. What do we do if we win? If you were drawn as a winner or grand prize winner, you have until February 14 to claim your prize by emailing me your shipping address. If you are the winner of the magazine feature, you will need to communicate with me and the editor of Cottages & Bungalows magazine. You will need to provide photos and information for the feature article. What about shipping? The grand prize package can be shipped to only U.S. addresses (not PO boxes). The runner up prizes can be shipped worldwide. Magazine contenders and feature winner can be from any location worldwide. What if my link is missing? If you're link is missing, it is likely that is has been removed because the post that you linked did not include the party button, it was not a project that you completed, or your project was not completed and posted between January 1-31, 2012. Make sure your post was an original project that you completed in the timeframe given, add the party button/link to your post, and relink your project! If I am featured on the WhisperWood Cottage blog or win a prize, am I still eligible to win the feature in Cottages & Bungalows magazine? Absolutely! Everyone who follows the rules for the magazine feature and the prizes is eligible for both. Can we enter to win prizes without linking up a project? Yes! If you do not have a project to link, you may complete "Additional Entries 1, 2, and/or 3 indicated in the eligibility section above to be eligible for the prize drawings only. Questions? I attempted to be as thorough as possible. If there are remaining questions, please send me an email. I will update this post with clarifications as necessary. Jickie Torres, editor of Cottages & Bungalows Magazine, and I will review all the linked projects and decide on the top 12 first projects of the year, who will be contenders for an upcoming magazine feature in Cottages & Bungalows magazine! From the Top 12 Magazine Feature Contenders, Jickie and I will choose 1 top project to be highlighted in an upcoming magazine feature in Cottages & Bungalows magazine! I'll also be checking out all the projects and featuring blogger creativity and ingenuity throughout the entire event! Amy love the giveaway party for sure - I linked up #2 - circular wood mirror. Amy I went crazy and linked up again #3 - diy house number. And #4 - winter door decor with handpainted sign. Don't forget #5 - winter mantel with paper topiaries. And I'm done. I liked all 4 on FB! I follow Whisperwood on Google Connect! I'm following you on Pinterest and pinned your button to my "For the Home" board! Adding my 1st project of the year up as link #9 (along with the link button of course!) Thanks so much for hostessing with these wonderful sponsors! I linked up (with button) as lucky #13!!!! I linked up project #14, and used your button! I Linked up Project #15 and I used your button in the post!! This is such a fun party idea! I linked up project 16. Used the button!! Thanks for hosting! I am a happy follower via GFC! Thanks so much, linked up a few things, more to come! i am lucky number 21, craft closet! and 22, toadstool table and wood decor! and i follow on pinterest, too! I am following you GFC! Hi! I linked up project #26 ~ the beast and included your button in my post. Thanks!! Hey! I'm linking up at #20 today! Hi! Linked up at #27 with a party link on my blog. Ready to check out all of the terrific projects! Thanks so much for hosting! I linked up #28 on my blog! I also "liked" all of the Facebook pages! Of course I am a Whisper Wood Cottage follower and I put these on my Pinterest page! Hi! I'm super excited about this opportunity! My project is #29 and I've added both links to my project. I have completed all entries. I have pin it and follow you on pinterest. I have liked all four fb pages! I just submitted project number 32 & have added the button to the bottom of the post. I've posted #41 and put a party button on my post. thanks for hosting the party! I'm a new blogger and this is fun! I'm following of yours, too! My project number is 39 - the linen and lace pincushion trio. I have include the linked button on my project page. I happily follow Whisperwood Cottage on Pinterest and have pinned a party button onto one of my own pinboards. I 'liked' the four sponsors for this on facebook. I am a happy follower of Whisperwood Cottage. I linked up #44 with my first project of the year by altering a word sign. I've added both link buttons on my blog too. I am "Liking" all 4 groups on FB! I've pinned both buttons to my Pin Board on Pinterest too!! Linked up #48!!! Oh my goodness I love this idea! Can't wait to see who wins!!!! I follow you! Thanks so much for this fun opportunity! Likes all 4 on Facebook! Thanks! I just linked up project #57! So excited! Thanks so much- I linked to project #58. Not sure if it's just my computer, but I was able to link but unable to comment on IE, had to switch to Firefox. I follow you on pinterest and pinned a button. I liked all 4 sponsors on fb. I just realized I didn't follow the rules eek. I linked up project #60 and I included the link button in my post. Thank you! & I linked up #61 and included the link button in my post! Wow, nothing like a good link party for prizes to freak me out! I'm #63! Thank you for hosting! I follow on Pinterest and pinned the button! I also added your button on project #69. I'm a new follower. I love your blog! I liked all four sponsors on Facebook. I linked up number 71. I added you button to my link post. Thank you for hosting this amazing link party! I'm number 71. Thank you for hosting this fabulous party and giveaway! I have been a follower for some time now, I pinned, tweeted, facebooked, and put both buttons on the top of my blog! I have my fingers crossed and hope I win!!!! I cannot tell you how excited I am about this party! I am project #70 and I have a button on my post! I follow Whisperwood Cottage with Google Friend Connect. I linked up number 84- my vintage garden table that got a new tabletop after being broken. I posted project #85...link button is up and running. Thanks for this fun opportunity! I liked all four sponsors on FB....so exciting! I posted A Closet Organizer for Him....#92...Thanks for the opportunity!!! Just linked up with #98! Also a follower on Facebook and Pinterest! Thanks so much for hosting! What fabulous projects! What a fun link party and giveaway! I liked all four sponsors on facebook. And I'm now a follower with Google Friend Connect. Link up #101... good luck to everyone. Now let me go see the competition! I joined Whisperwood cottage, and I pinned the pin it button for the linky competition. I just linked up project 106 & added the button to the post! Just linked up with project #109 and added the button to the post! I follow Whisperwood through GFC! #110 is all linked up and following! Thanks so much for hosting! Linked up #102 (mini re-purposed linen wreaths)! Added a button! Hope to be back with another project or two. Thank you & Jickie & sponsors for the chance. Pinterest follower and pinned your button already. Linked up #115 too. Thanks again! I am number #116 Amoretto Butter Cake and my post is linked with your button. Thank you for this opportunity. I will be back with another project as soon as it is finished as well. Cheri (My first link wasn't showing up so I re-entered--so I could get the number of my post and after I re-entered the first finally showed up. Can you delete #117 it is a repeat--sorry. Your button has been pinned with the hashtag. I follow you on Pinterest now!! :) Thanks for doing this! I liked all four pages on FB - WhisperWood Cottage, Cottages & Bungalows, Rockler, Canvas Corp. I linked up my DIY Filing Trunk #121 Entry!! YAY! I Linked up #123 & added your button to my post. This is so fantastic! I'm sorry to cause a problem, but I'm linked under #126 and #127 for the same project. The linky gave me an error, so I relinked, but then the original one came through also. Sorry for the inconvenience! I am linked up at project #128. I am linked up at project #129. Hello...I just linked up and I'm no. 132. I shared a little update of my dining room. Thanks for this opporutnity! I'm back...I'm also no. 133. Part 2 of my dining room project. Thanks again! Your button is in this post and the post linked at no. 132. I think I forgot to say that in the last comment. Sorry! My second link is hand dyed sea fans at no. 131. Thanks! I am already a follower and I have included your button and link in both post. I'm a follower...I also just signed up for RSS feed. Thanks! I followed you on Pinterest and pinned your button to my brand new Linky Party board! My project No. 135 dresser to side board is linked up! Hi there! My project is #138, and I added your button!! Another project link up #139! Thanks!! Wow, this is a wonderful opportunity and great idea for a link up! Thanks for the consideration and happy 2012! Liked all 4 pages and I'm following your page with Google connect. Thankyou much for the chance to win, this is great!! I linked up my project #155 and placed the button in my post. I am now a follower and post 160 is mine. Thanks for the party. I am link #162 and I posted your button. I am also a new follower! Just discovered your blog and linked up my DIY faux tile painted floor project, and added the button. I am link #166. Thanks so much for hosting and for the giveaways from your sponsors. Just started following your blog also. Hi! I'm all linked up! #169! I am now following you on Google +, am Facebook friends with the sponsors, pinned this contest and tweeted about it. This is AWESOME! Thanks so much for hosting! New follower!! Love your blog and fantastic party!! Following on Pinterest and pinned a party button! I am number 174 - Shabby Silver Spice Rack. I included the party logo with a link both in the post and on my sidebar. I pinned the party logo to my pinterest file. Of course I follow Whisperwood Cottage on Facebook! Ok, I already liked Whisperwood Cottage on Facebook but now I like the others too. And yes....I follow Whisperwood Cottage through google friend connect and I have for quite a long time. Linked up #181 my hand painted vintage signs. Well here I am late again... What a wonderful giveaway I just had to enter my first project of 2012 So now I keep my fingers crossed and hope for the best. I have done all of the above as you requested. FB, Followed of course I'm not sure why I didn't have you in the blog list (sorry) great blog... Pined it, and put you on my side bar.. I'm # 186! Yea. Glad to finally be done with this project and to link up! Thanks for hosting! #193 is all linked up and following! Thanks so much for hosting! I'm linked up at #195!! I can't wait to finish another project tomorrow and get that linked up as well! Posted link in my post and sidebar. I'm linked in at #205 & 207! I'm linked up at #208 and #210!